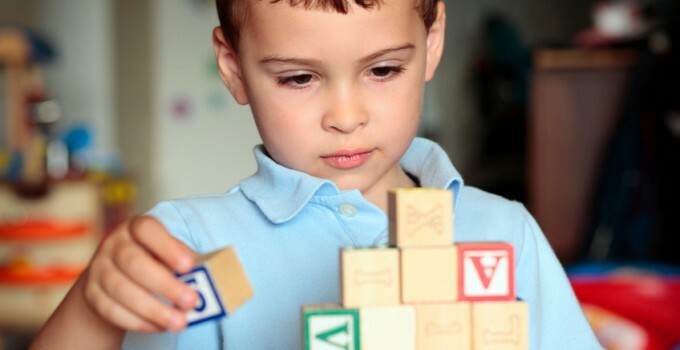 Thousands of children in the United States are diagnosed with autism, also known as Autism Spectrum Disorder (ASD). As such, these children can have very specific sensory processing issues/preferences which makes daily life more difficult than it is for the average person. For instance, certain textures might bother them, colors or tones, maybe they have a preference for certain tastes, or avoid things altogether if they are perceived as extremely uncomfortable. For this reason, it can be very difficult to administer medication to autistic children. Their experience with the world is very different than ours. Because of this, it is sometimes very difficult to explain to autistic individuals why they need to take their medicine. It does not make sense to them and forcing the argument sometimes makes the situation worse. However, if you implement a few key strategies, and the help of a compounding pharmacy like IPS compounding, managing medication for autistic children is less a struggle. With that in mind, here are some ideas to make medication management and administration easier for your autistic loved one. In addition, it should make things easier for you as well. If medication for your autistic child is an everyday occurrence, make administraiton routine. Autistic individuals perform better and are more comfortable with dependable schedules and timelines. Introducing medication before or after mealtimes consistently is a great way to create an acceptable routine, in time. However, you will find when you develop your schedule there will be times it is not possible to keep. In those instances, make sure your autistic child has an alternative that can be accepted as such. For instance, if their favorite meal is not available for one meal time, make a substitution and continue with the schedule. Set this up beforehand so they know this has already set up and as such should be a recognized part of their daily routine. That way administering medication can still be a part of the timeline. The key is minimal disruption. Also, keep in mind, you might have to use pictures instead of words. This way of sequencing is very helpful to encourage autistic children to take their medicine. This is especially helpful for nonverbal autistic individuals. When they can see a pictoral progression of events they are more likely to discover the motivation necessary to take medication. Keep in mind, even under the best circumstances you may not be able to control how an individual with autism takes their medication. However, you may be able to control the medium. Autistic individuals, especially small children, may find it difficult to swallow tablets or pills. In addition, they might be averse to different colors, textures or how their medicine tastes in certain liquid forms. In fact, you may have tried to hide medication by crushing it and introducing it into their food. Yet, since autistic children have heightened sensory perception, they often discover this. This is where a pharmacy like IPS compounding could be helpful. We have more flexibility with medication medium then traditional pharmacies. We could introduce flavors like grape or bubblegum to their liquid while making sure the medication is dispersed evenly throughout the liquid so the dose is accurate every time. In addition, if your child has an aversion to certain colors, we can remove dyes completely or choose a color that they have a particular affinity for. Also helpful, standard medication types have filler ingredients like corn/wheat or dyes that can negatively affect someone with autism. We can make compounded medications without those fillers. Okay, so this might seem contradictory to what we just stated earlier. However, if your autistic child takes medication with no textural elements and has a very light flavor, you could try hiding it in something like yogurt or a smoothie. Examples of items like these are multivitamins or supplements like zinc or vitamin D. In addition, antibiotics can often disappear in flavored yogurt pretty easily. If after reading this you feel compounded medications might be suitable for your autistic child or loved one, please contact IPS Compounding. We are a trusted industry partner and will work to provide real medication solutions for your needs.